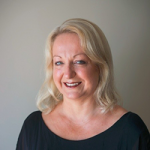 Marilyn Jones, Monday, 25th March 2019 - Experienced recruiter Marilyn Jones highlights some of the reasons why you need to be gracious, even in rejection. Marilyn Jones, Monday, 25th February 2019 - Experienced recruiter Marilyn Jones reflects on the importance of networking and why it should be a key part of your job search strategy. Marilyn Jones, Monday, 11th February 2019 - When it comes to job interviews and showing you’re a star, preparation is key, writes experienced recruiter Marilyn Jones, in her latest blog. Marilyn Jones, Monday, 28th January 2019 - In her latest blog, experienced recruiter Marilyn Jones stresses the importance of getting your elevator pitch right and considers how best to answer the question “what do you do?”. Marilyn Jones, Monday, 14th January 2019 - In her latest blog, experienced recruiter Marilyn Jones shines a light on bad recruiter behaviour. Marilyn Jones, Monday, 10th December 2018 - In her second blog providing advice for job seekers entering and moving within the social sector, experienced recruiter Marilyn Jones discusses how words can harm your chances. Marilyn Jones, Monday, 26th November 2018 - Each fortnight, experienced recruiter Marilyn Jones will be providing advice for job seekers entering and moving within the social sector. In her first blog, Marilyn Jones discusses the concept of soft skills and how to make sure your CV works to give you the “edge” over others.